Introducing to the HOVERBOARD® family is the E1 KooWheel Electric Scooter, this stylish foldable scooter is bringing travelling on two wheels to a whole new level of fun! The KooWheel Scooter can zip around to speeds up to 14MPH on its 8-inch wheels. 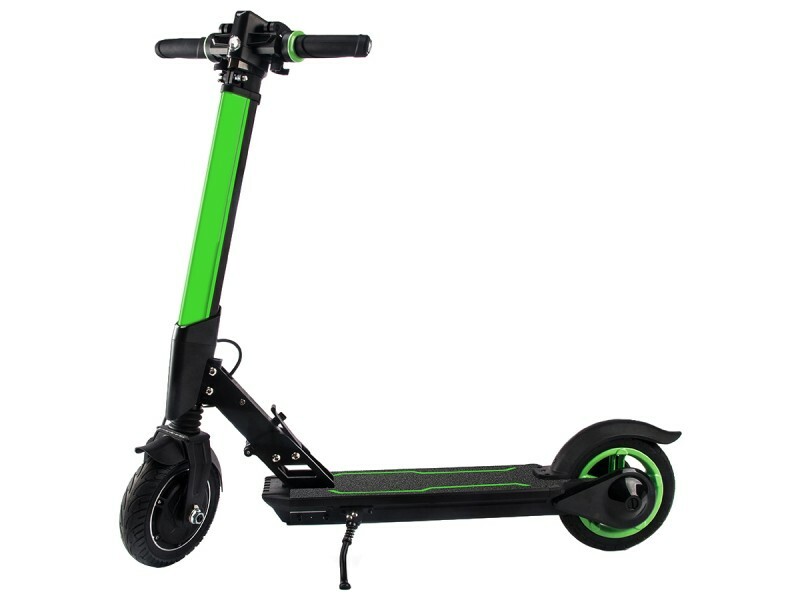 The KooWheel Scooter has unique design with a gloss black colour and green detailing across the central and side bars of the electric scooter. The foldable function that the scooter has is easy to use and is great to reduce the carry size of the product, making it easier to store in bags, boxes or any other storage solution. The KooWheel Electric Scooter also features an APP Control from where you can control the function of the LED lighting and what colours they light up as, you can even electronically lock the front wheel from the APP. The APP which can be downloaded on any smart phone device via Apple Store or Android market gives you full control of the KooWheel Electric Scooter. The KooWheel Electric Scooter has certified original genuine battery which are completely safe. Built to a rigorous standard with high quality and durable components. Furthermore, all our products meet the applicable safety standards (UK) and are all certified UL/CE and tested before selling. The KooWheel Electric Scooter, has a 250W of Output Power and is made with aircraft-grade Aluminum alloy material. 100% safe UK Certified Electric Scooter that will last up to 2X longer and it fully complies with all UK safety regulations! Seriously awesome, the scooter is rapid, it functions well, the unlock abilities via phone are really good and quick, im soo happy with my scooter and not only that the service from the hoverboards guys was brill!